Gentle Josefina Montoya has warm brown eyes that open and close, golden hoop earrings, and shiny mahogany-colored hair. She comes in an authentic 1824 outfit that includes a white camisa, a colorful border-print skirt, faux-leather moccasins, and a sprig of yellow primroses tied with a blue ribbon in her hair. 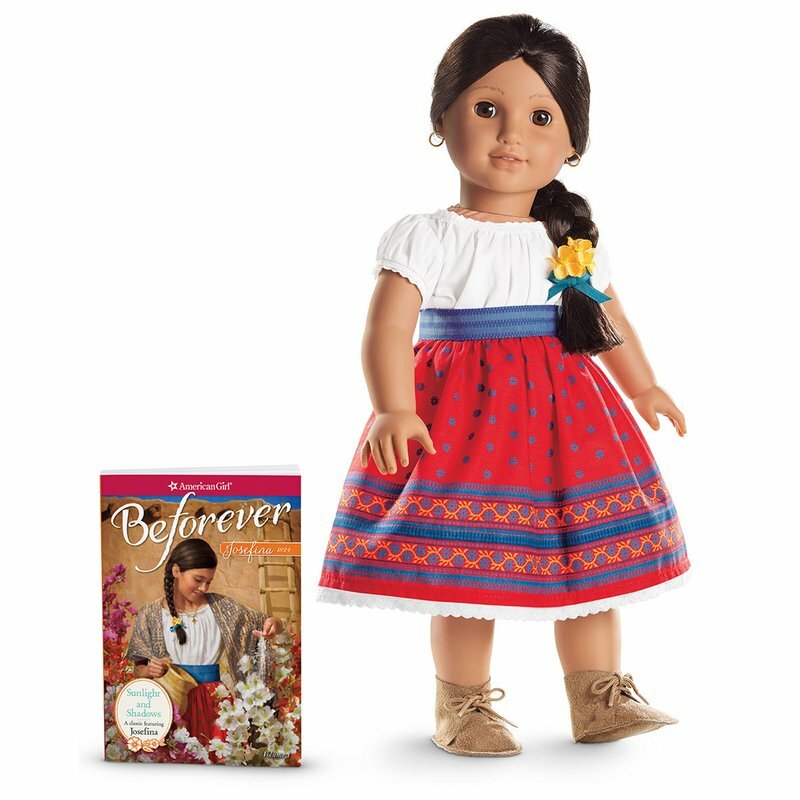 The 18" Josefina doll has a huggable cloth body, and her head and limbs are movable. Includes the paperback book "Sunlight and Shadows," the first volume of Josefina's classic series.